The Isabella Street Tapestry Garden was established in 2009 on the Northside of Syracuse through a combined vision held by The College of Environmental Science and Forestry (SUNY-ESF), The Northside Collabratory, Syracuse Grows, and Women Transcending Boundaries. Since its inception, the Isabella Street Tapestry Garden has provided New Americans, or refugee families, an opportunity to collectively garden in their new Northside neighborhood. The New American families come from a variety of countries. They grow vegetables native to their homeland, like mustard seed, as well as vegetables common to this area, like summer squash. 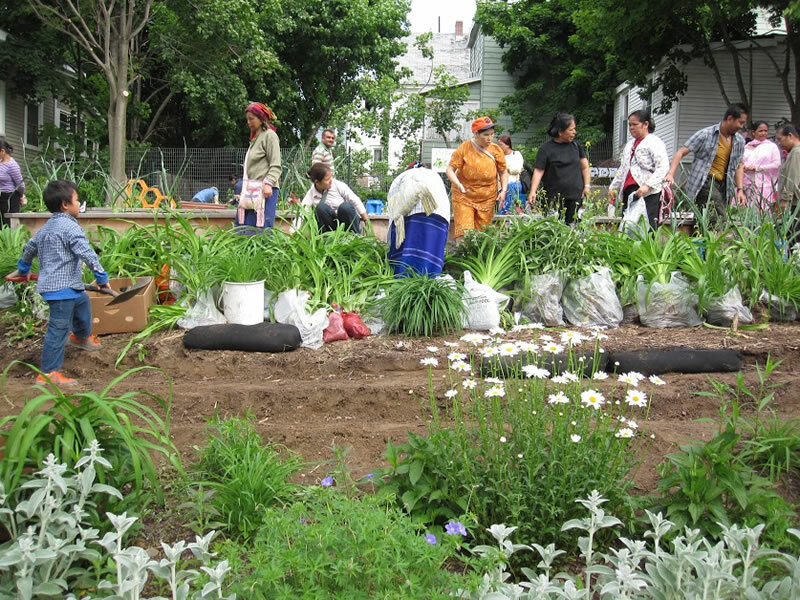 The garden space is tended to collectively, and all plots and their harvests are shared among the garden members. The garden serves as a safe, social space where people from all different countries can work alongside each other, learn from each other, and grow nutritious food together. If you are interested in learning more about the Isabella Street Tapestry Garden, please contact their garden buddy Rozlynn Jakes-Johnson.